It's been around in vanilla for years now, just not actually used in any of the base game jets' *ahem* non-dynamic loadouts. HAH, not unless we get multi-bomb racks for the pylons. Actually I'm pretty sure it used to be on the Buzzard CAS waaay back in the day. 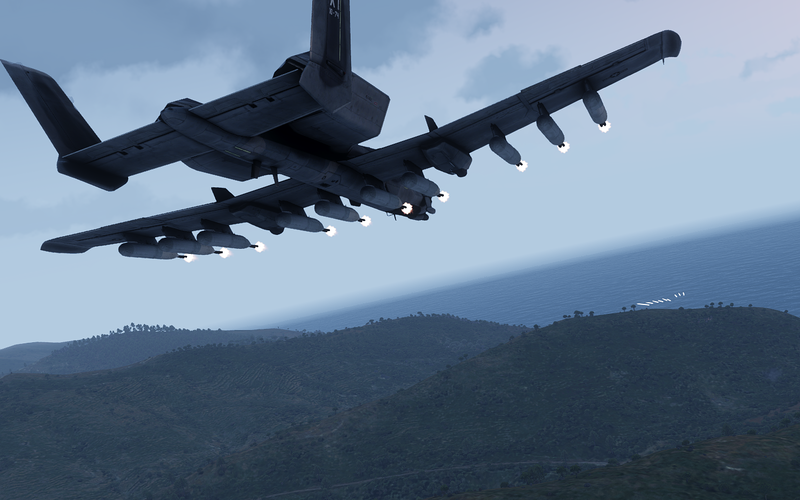 I have seen it on 1 Arma 3 vanilla aircraft but that was age ages ago. its "HOW TO INTEGRATE THE NEW PYLON SYSTEM/DYNAMIC LOADOUT AND BAY ANIMATION" pdf file. i tried to write in this section but strangely i can't submit. so make the PDF file instead. EDIT: scratch that, only AAF... get Skalpel Racks. Have you kept in mind that the very same vanilla racks can be called by modders...? The Macer comes in racks too for the Wipeout. Also, there's a few munitions with the same names, different spelling that made me give up on being more in depth when referring to them. But I've also noticed the Loadout variety of the Neophran is very limited compared to the others. Chortles, yeah I just realized that'll be interesting too. For mods like CUP, might be able to enable their missile box into the Dynamic Loadout System (DLS) and would allow for use of their own ported, and modeled weapons, even on Vanilla racks. To those who have already looked into the Dynamic Vehicle Loadout config wise. Is it possible to put different missiles/bombs onto one pod? Or does the pod only allow missiles/bombs of one type? Kajman should also be able to carry dumb bombs like the Mi-24P. As currently designed it's still one magazine per pylon, with multiple-missiles/bombs-under-this-pylon being a magazine with an ammo count value > 1, similar to how a rocket pod in vanilla is either HE or AP and the pre-dynamic loadouts had one of each magazine/pod, but still no mix of both within the same pod (magazine). Since the Buzzard can have x5 Twin Cannons, would it also be possible to have the option to fire them all at once? You can do this using setPylonsPriority. If you set all pylons to the same priority (ie. this setPylonsPriority [1,1,1,1,1,1,1,1,1,1,1,1,1,1,1,1,1]), they'll all fire at the same time. It's really fun with DARs. You only get 20 shots, but boy do they hurt. 1. Tratnyr rocket pods are identified as "Shreiker" when selected in game. They also don't show up on the MFD. 2. The wingtip pylons shouldn't be able carry large weapons (anything besides Sahr-3, really). 3. Tratnyr pods don't show the proper ammunition count when selected. Then multiple pairs of Tratnyrs are carried, the ammo count will only show "20", indicative of a single pod. Upon depleting a pair, the ammo count resets to 20 again. That is despite a single pair actually carries 40 rockets (fired two at a time) and the whole plane can carry up to 200. Now, I've got some more general feedback on the weapons, as well. 1. It's impossible to ripple-fire the rockets, and it shouldn't be so. Tapping the trigger is annoying. 2. Carrying multiple pairs of ungiuded weapons (except for bombs) should increase the rate of fire. When the trigger is held, the first pair should fire, then the second immediately afterwards, then the third and so on. The total ROF should be single pair ROF/number of pairs. Don't worry, it's still heavy WIP. This should be available in Eden as a some sort of selector. Ideally, the game would be able to figure out the priorities on its own (especially if we're gonna allow players to fiddle with the loadout), but if that's not feasible, then at least an easy way to change priorities (say, an input window next to each pylon) should be provided in Eden. Great to hear. Regarding Kajman, I'm not sure about KAB-500 (those are very big bombs, much larger than NATO ones), but Tratnyr rockets and Sahr-3 missiles should definitely be on the list. On the flipside, I'd love to see Skyfire added to Neopheron. BTW, what's the point of having two versions of the Kajman? I thought that "Edit vehicle appearance" put an end to the need of having separate versions with different textures. I dare say its for mission backwards compatibility as deleting that class name might break existing missions. Agree on the loadout options. Would be nice to see the rocket launchers from the Neophron be mountable on the Kaijman. This would allow us to load a mixed HE /AP rocket loadout on the heli. Isn't dynamic loadout version a separate class? Or it is planned to make dynamic loadout ones "drop in" replacements for the non-dynamic classes? I believe he was referring to why the Kaijman black was still an option in the editor when scenario designers could just use the normal one and repaint it using virtual garage. They have different class names and thus removing it will break any mission wjere that class name is referrenced. @dragon01 What Imperator specified; it should be however safe to set the redundant-seeming classes' scope value to 1 (hidden) so that only the dynamic loadout versions have scope = 2; (public) which allows a unit or vehicle to appear in Eden's units/vehicle trees. No, I was specifically referring to the dynamic loadout versions. 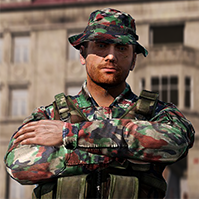 Did any of you check out the dev branch? There are two versions of the "Dynamic" Kajman, one regular and one black. I know that the old ones were left in not to break missions, but I see no reason to have the Dynamic Loadout Black version. Can confirm, they seem to be broken. They don't show up in weapons selection.